Things are happening on the digital front in Canada – The “Click & Collect Show Canada” is the first ever event for grocers and retailers exploring new strategies and technologies to allow customers to order goods online and collect their goods either in store or by driving to a collection point. It is the one-stop shop for grocers and retailers adopting this key value add service for customers of today and tomorrow. If you offer a solution for this industry then you need to get involved today. Recent talk by Doug in Reykjavik. 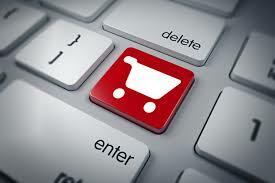 I just became aware of the size of the online shopping market in China. Wow! I am amazed. I don’t think we can call China a developing nation in the 3rd world sense any more. The online shopping market in China in 2013 was worth an astounding $297 billion. Compared with this, the market in the US was worth $263 billion. All these figures dwarf the Canadian market which was worth $20 billion. The Chinese online market is growing at 40% while the rate of growth in the US and Canada is at half that rate. Beyond all the above facts, here’s another amazing fact – Sale through Alibaba.com in China were at 84% of the total volume or $248 billion. I thought Amazon was big at $75 billion – I was wrong.